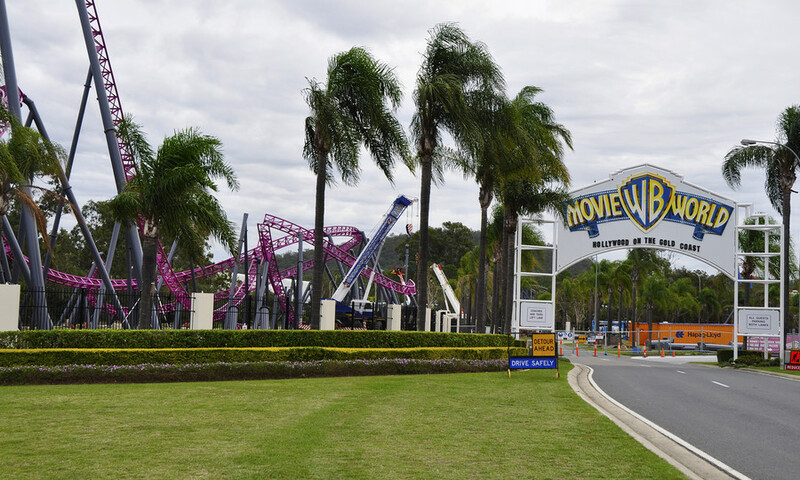 Construction continues on Movie World's new roller coaster and this week the first pieces have gone into place for another roller coaster element never seen in Australia: a non-inverting loop. A good summation of where we're at. When you start to describe the ride's elements in order, it does add to the anticipation.. Still hopeful that the distance from the helix to the left climb turn at GL will allow a rolling inversion, as Flash's Zero-G is quite late. Might go back and look at the aerial pics again.